This original musical by Vincent de Jesus has gone through as many evolutions as it could over the past two years. It started out as a staged reading at the 2016 Virgin Labfest. 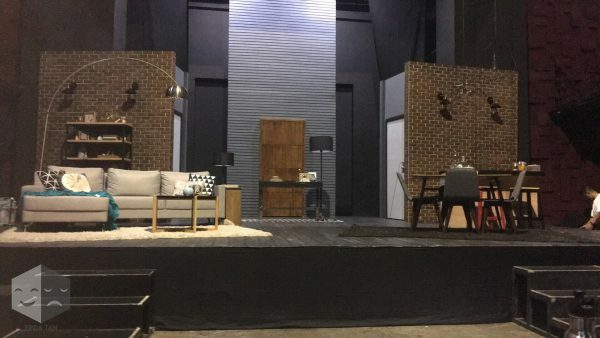 It had such positive feedback that the creative team transformed it into a full production two months later, with two successful runs at the PETA Theater Center Studio in the same year. It was then adapted to a multi-awarded film in 2017, winning 8 accolades at the 2017 Cinema One Originals Film Festival. 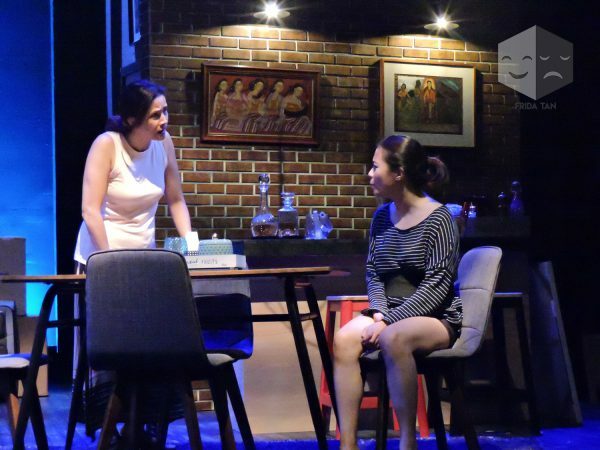 This year, it begins its journey with a two-weekend theatrical run at a bigger stage– the PETA-Phinma Theater. 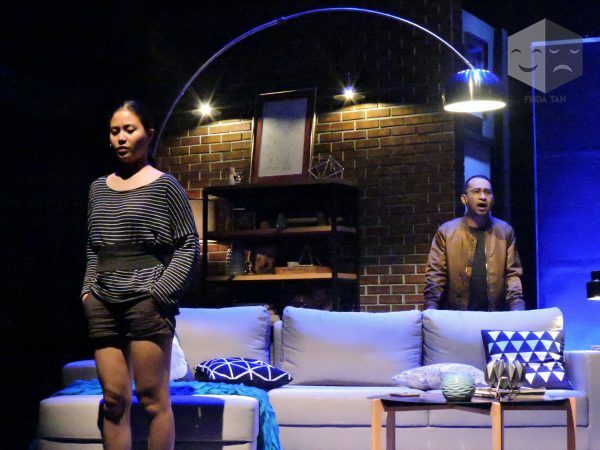 Changing Partners explores the universality of love and heartbreak by showcasing different kinds of relationships. All cast members from the original PETA run returned for the film and are currently reprising their roles—Agot Isidro and Jojit Lorenzo play Alex, and Anna Luna and Sandino Martin play Cris. We sat down with creator, composer, and writer Vincent de Jesus, director Rem Zamora, and actress Agot Isidro. They talk about the themes of the show and how the show has evolved over the years. What does it mean for you to be a part of a show that talks about the universality of love regardless of gender? Rem Zamora: If you think about it, when you say that love is the same no matter what gender, there are many shows like that. But what’s extraordinary I think with this particular one is the style of the script; the structure in which Vince actually wrote it. Of course in and of itself, it’s a heartbreaking story. But even if you say that relationships are the same no matter what gender, things still change. I think depending on the gender, or sexuality, or the type of relationship you’re in, a dynamic will change. It’s not all going to be the same. In fact in the course of the four relationships, it’s the same story. It has the same end, but we couldn’t make them the same. We had to honor the fact that there was a straight couple, there was a lesbian couple, and there was a gay couple. You have to tweak those relationships depending on what kind of couple they were. But in the end, I think what Vince is saying, is sometimes, people break up for the same things. When people fall out of love it’s the same. Iba lang iyung process ng away. 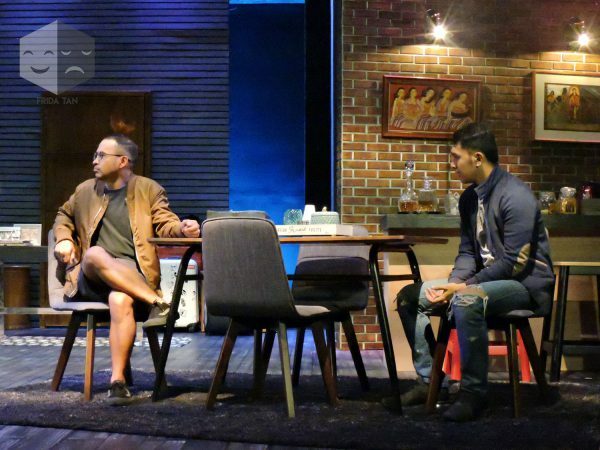 Agot Isidro: I found the script very brilliant, the way it was written, the way the characters change per scene, and the importance of the genders here in the play. I mean, the story is about love. That’s pretty universal. So it’s across genders. It breaks the gender borders and I guess that’s what the play is all about. Love is love. Heartbreak is heartbreak. Pain is pain. So it doesn’t matter you know, the difference in genders, even social economic classes. People go through the same things. Vincent de Jesus: For me, it’s a very personal project. It’s one of the non-commissioned works na ginawa ko. I just did it because I wanted to do it. It’s a purging of past relationships. (laughs) It was a good exercise of creating something that is very difficult to write about—yourself, your story, your previous relationships, and give them a voice. It’s a good exercise in writing. Confront your fears, confront your demons. It’s also good exercise for the actors kasi ang sarap i-arte nito eh. You get to play two different roles. And of course, the style, the form, the way it was written, it demands so much from you—physically, emotionally, and [acting] choices. Rem: Also in the early discussions of this, we agreed even before we casted that the restraint is so necessary. It’s so easy to go overboard. It’s so easy to play the hysterical. It’s so easy to let the tears gush and to go for that. It’s so easy. You can. It’s another direction to go. But we agreed, no. You’ve got to veer away from that melodrama and present them as real. Vincent: Kasi hindi lang naman iyun ang point eh. I mean, there are so many layers, like sexual politics. In a straight relationship, when the girl is older and the boy is younger, who is in control? Iyung may pera ba? Iyung bata bang mas maganda? O iyung mas matandang may experience, may money? Sabihin ng isa, ikaw, ikaw may pera eh. Pero hindi eh. Mas fresh ka eh, diba? I mean, iba iyung alas mo sa alas ko. So ganun din iyun sa gay relationship. Who is in control? They’re both males right? So sino ba, the younger ba? Iyung may money ba? Kapag older female and younger male, sabihin nila, ‘Ay, cougar.’ Pero kapag lalaki ang older, ‘Uy swerte mo dude. Ang fresh niyan ah, sa edad mong iyan nakahanap.’ And the relationship suffers or changes depending on how society sees them. Kung may stamp of approval iyung society, mas maluwag kayo. Pero kung may pressure, ‘Ayaw nila eh.’ So nagrereact din iyung relationship depending on the friend, society, office workers, family. Has your performance changed over the different incarnations? Agot: From the 2016 version to now, it has changed so much because there are so many layers that we’ve acquired, learned, and discovered in doing the film. For those who have seen the play before, they were probably surprised to see the way it was handled in the film because there are certain parts that Jojit [Lorenzo] does that I did in the cinema. So in the cinema version, I did some of Jojit’s parts and Jojit did some of my parts. Same with the Cris’ [Sandino Martin and Anna Luna]. So we were able to discover. We’re excited to do [the current run] because for me, I’m bowing out of the role. (laughs) Because a lot of people, when they saw the stage and film version, they go, ‘I want to play it!’ So it’s their time. How did this particular form/structure come to you? Vincent: I wrote Cris and Alex as a gay couple lang. Basically it followed the same flow. And then I had it read sa Writer’s Bloc, with sila Rody Vera, Nick Pichay, Liza Magtoto, Allan Lopez, Layeta Bucoy, and they said, ‘Maganda Vince. It’s so you!’ (laughs) ‘Try to tweak the form. I really don’t know how.’ Nag-isip ako ng way. One day, I was watching a rehearsal here. It was a line production about a couple. Absent iyung actor. So nandun iyung wife, tapos iyung pumalit, iyung stage manager namin na lesbian. Siya iyung nagstand-in. Eh iyung eksenang iyun, the wife was nagging. Pero nung co-actor niya naging isang lesbian na stage manager, naging softer. ‘O! Nagiba!’ Pag-iba iyung co-actor… Ting! Eureka! Can the audience expect any changes with this run? Vincent: Acting also because they have to be a bit more animated. And of course Vince made a new arrangement. We have a cello now. So the songs have to be rearranged to accommodate the cello. Even in that arrangement Vince practiced restraint, which I love. And that came from him. It didn’t even come from me. And then there’s a song from the movie that Vince transferred here but he broke it up. It’s spread out, which is nice. Word has been going around that there’s a sequel in the works. Can you tell us more about that? Rem: It’s in the works. Rem: He’s still keeping it under wraps for the most part. 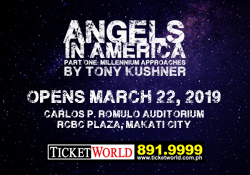 The show opens tonight and will run until May 20 at the PETA-Phinma Theater. Previous 'Once on this Island' Revival Cast Album has Dropped on Spotify and Apple Music! Next 'Frozen: The Broadway Musical' Cast Album Now on Spotify!